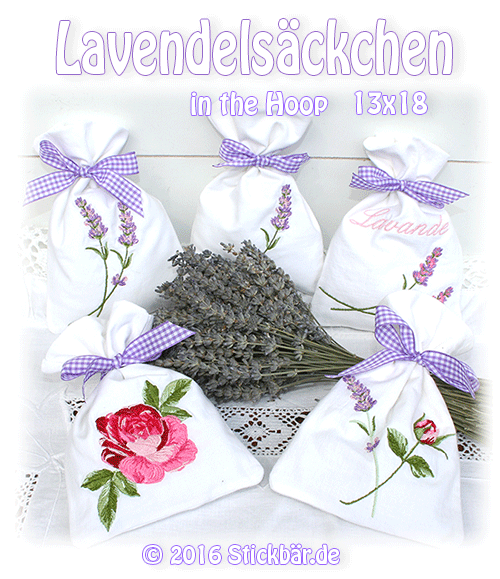 http://www.stickbaer.de/en/New/Lavender-Bags.htmlAs you can see I am still envolved in the “Provence” story. It was really great. And now, lavander is in full bloom. How much I would love to return there to South France. 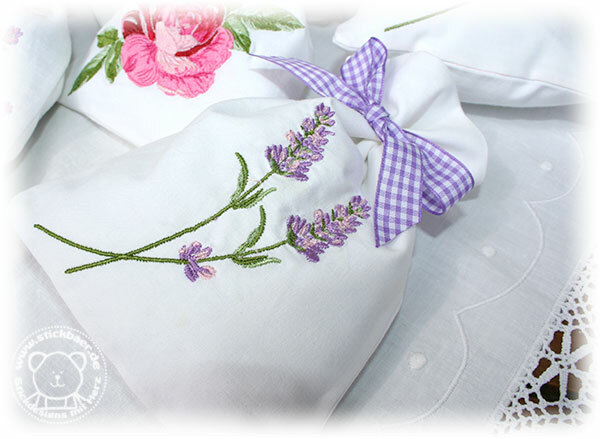 Our Lavender bag is completely done in your embroidery machine. The only thing left is to close the small turn opening. But even this can be left undone because this opening is hidden inside the bag. 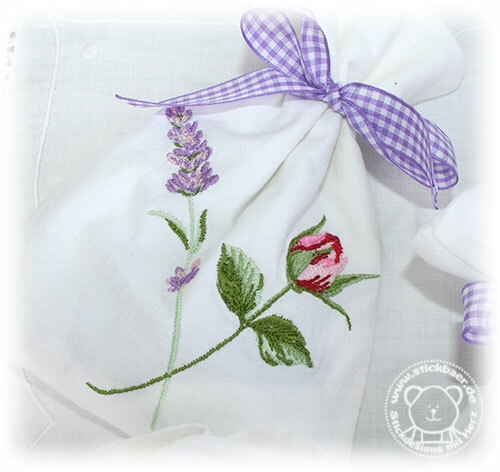 And when filled with lavender seed it is hidden at all. I am closing such openings with textile glue. Usually this looks better then a handmade seam. There are 5 different bags in the collection, no seams are visible. 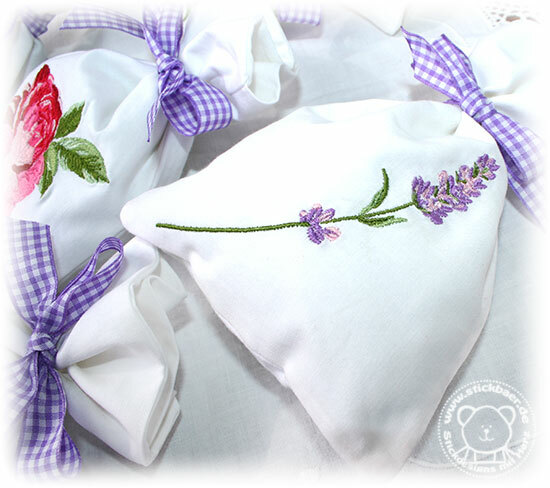 I have cutted old white linen into pieces. 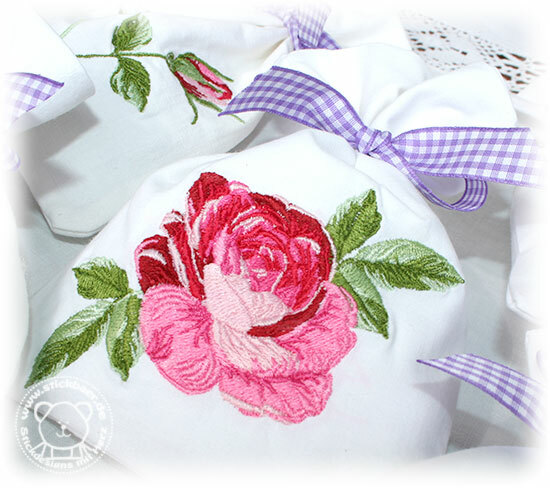 This fabric perfectly matches the embroidery motifs and the colors and the shades especially of the roses. 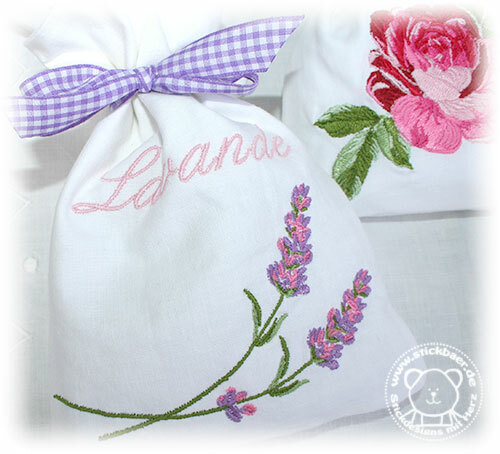 Fell free to fill the bags with other stuff then Lavender. Maybe a (selfmade) piece of soap? 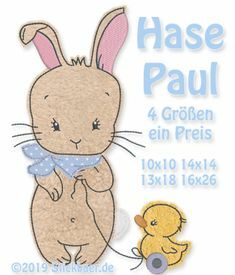 This is a nice gift! 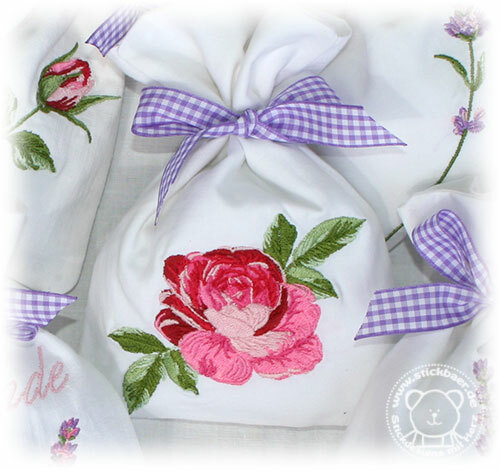 Or you fill in a roses potpourri … Or another little gift? 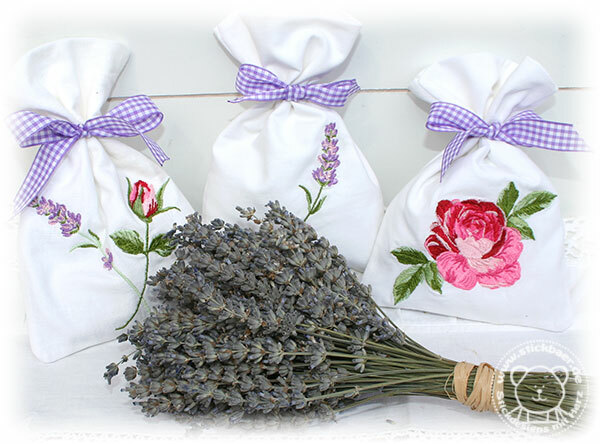 I filled Lavender to all my bags and distributed them all over our house. When passing by I cuddle them and the air fills with lavender scent. 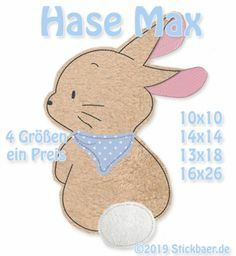 You can get our latest embroidery file from today in our Stickbaer Shop. 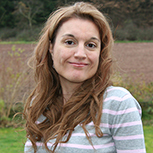 Enjoy it, and enjoy the weekend.